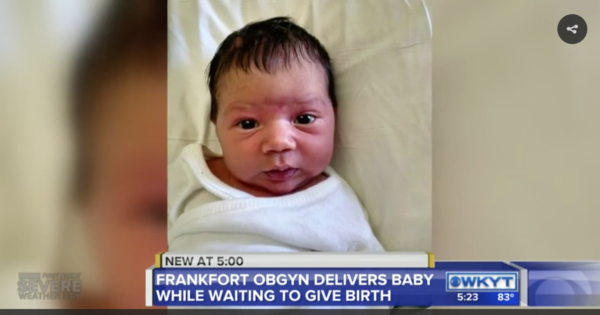 A US doctor was in labour, decked out in a hospital gown, when she heard another woman was on the brink of birth, with the on call doctor still en route to the hospital. Uh-oh. Fellow patient, Leah Halliday-Johnson, was deep in labour, super vocal and apparently fighting the urge to push. “My husband said ‘is that a woman screaming?’ and she was fully dilated,” Dr Amanda Hess recalls. She knew that she had to step in to help a sister out. “You know I love doing what I do. I love taking care of mothers and babies. I just put on another gown to cover up my backside and put on some boots over my shoes, to keep from getting any fluid and all that stuff on me, and went down to her room – and I knew her,” Amanda said. The patient had been one of Amanda’s own, handed over to other staff when she went off on maternity leave. 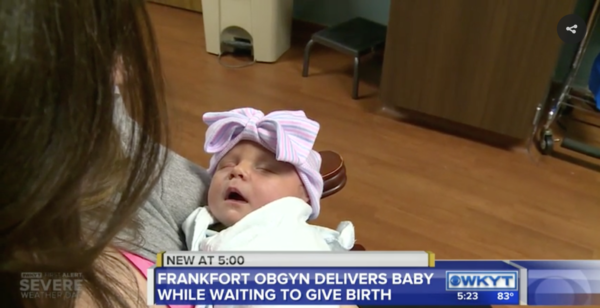 Fortuitously, the timing of Leah’s delivery meant she could be on hand after all, because a) superwoman and b) dedication. Amanda said Leah could not have been happier to see her. 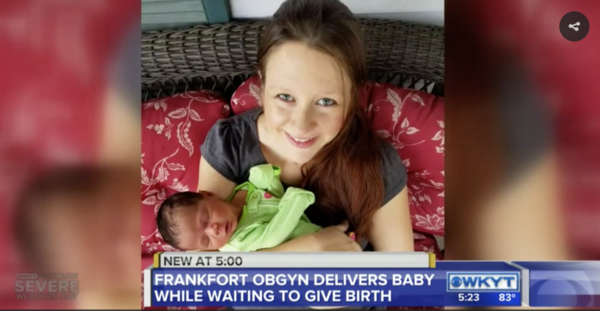 “She was just glad to be able to get to push and have the baby out and be delivered, and not have to wait any longer,” Amanda told WKYT. After delivering Leah’s baby, Amanda ensured mum and new arrival were being well-cared for, then went back to her own room and popped out her own little girl, Ellen Joyce. Well. Probably the baby didn’t actually pop out, but you get our drift! Amanda infers her double-delivery was no big deal, putting it down to the general commitment doctors have to their jobs. “Most doctors are always thinking of their patients. Even when they are a patient themselves,” she said. We totally concur, but think she might just have gone above and beyond, in this amazing case. “Bringing life into the world is one of the most amazing things that you get to be a part of,” Amanda summed-up.